Happy month of new beginning to us all, this is the eight month of the year and indeed i feel so blessed, that i have made it through seven months and more blessed knowing we are all here despite all the challenging situations we have had in the past months. Let me share this two testimonies to buttress my point that August is a month to testify indeed...The first testimony is a personal one; i got instant answers to a prayer i said almost casually. God heard and answered..what that taught me is the fact that this month, every little detail of our lives, if we commit it to God in prayers, He will answer speedily! Hallelujah ! The second testimony is a friend's testimony and she sent a message to me, a couple of days saying she is fulfilled and she thanked God for the prophetic call on my life...i was stunned because we had prayed and i made some declarations that came to pass exactly as i said it, and beloved, her testimony is a testimony that ended an unusual delay in her life..so this month, no matter how long that problem has persisted..i am here to tell you, it expires this month as God is giving you a new beginning..behold He is doing a new thing and you will see it and those around you will see it and know that God is God by Himself ! Somebody give God some real praise!!! Hallelujah!! My Prayer for us this month is that we will sing God's praises and tell of His goodness all through this month as the siege is over! i declare to you prophetically that you can not be cursed, your family can not be cursed and no divination or enchantment against you and yours according to Numbers 23 - 8 and 23. Do you know - That Revelations 12 - 11a says "They overcame him by blood of Lamb and by the word of their testimony". Note - Congratulations to everyone celebrating this season, may God's goodness and mercy overshadow you this season and always. Hi Bridget, God is using you to declare His unfailing promises in this dispensation. May he continually find you as a worthy vessel unto honour in Jesus name. i was really blessed and haqve tapped into those powerful declarations. keep working in His vineyard! Thanks for reminding me of the promises of God for the new month. I stepped into August not knowing it was a new month. God is indeed faithful. 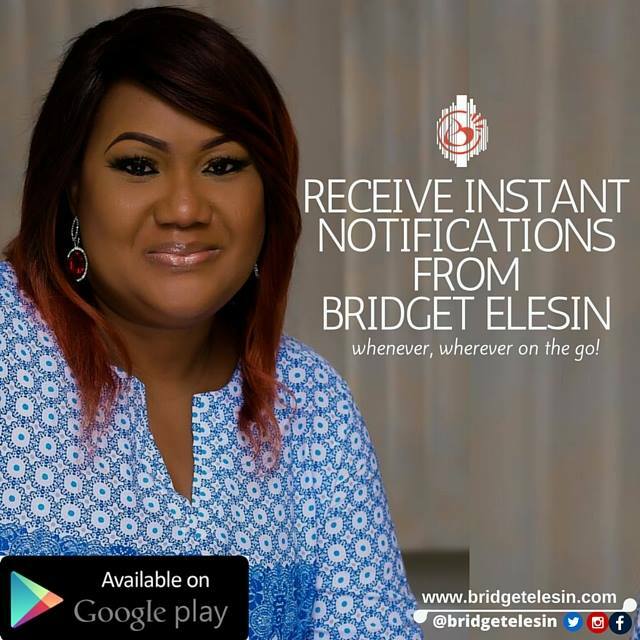 hey Bridget,i thank God for everything it is a blessing to me reading this,for my God is good.am bless now and always.i also thank God for using mightly. Thank you for sharing and declaring!!! This month is indeed one of overcoming and testifying IJN!!! Hello Bridget, thank u very much for ds highly inspirational talk, l really enjoyed it. May God Almighty continue to fill u with wisdom, knowledge and understanding in Jesus name amen. God bless u real good in Jesus name amen.